Take the next step in your Nutanix certification journey! 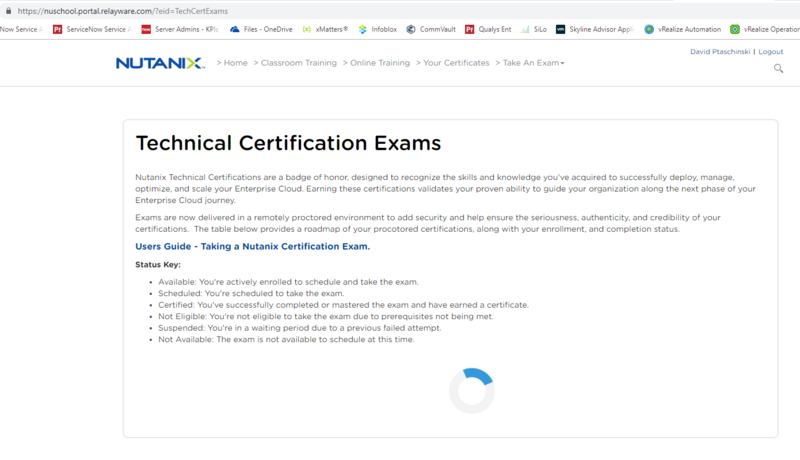 Download the Certification Overview to learn more about it and discover if it's right for you. When you're ready to get started, the Exam Blueprint Guide tells you exactly what's covered, the pre-requisites, and gives you links to related training and other prep resources. The exam will be delivered on our new remotely proctored environment. You can take the exam one time for free (through January 31, 2019) and after that it will cost $199 per attempt. Hello, i already have NCP certificate and want to take an attempt to pass NCAP. But i don't see link to take NCAP exam. 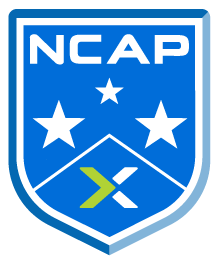 What is way to take NCAP for free till 31 Junuary 2019? 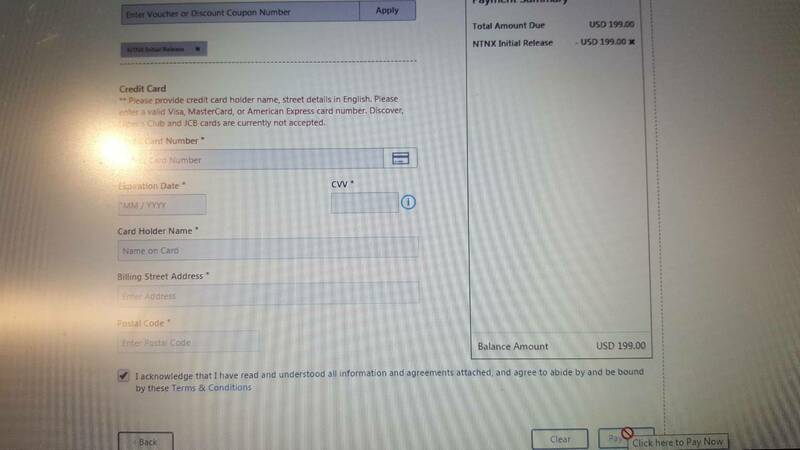 Link wich you provided is connected with NCP exam. Thank you. Now i see a opportunity to take NCAP exam. Before I could not to login to my profile in nuschool.portal.relayware.com. Now it works! I will try to pass NCAP till 31 January. Hi Bender555, When you are planning to take the NCAP exam? I am a customer and registered user of the education portal. 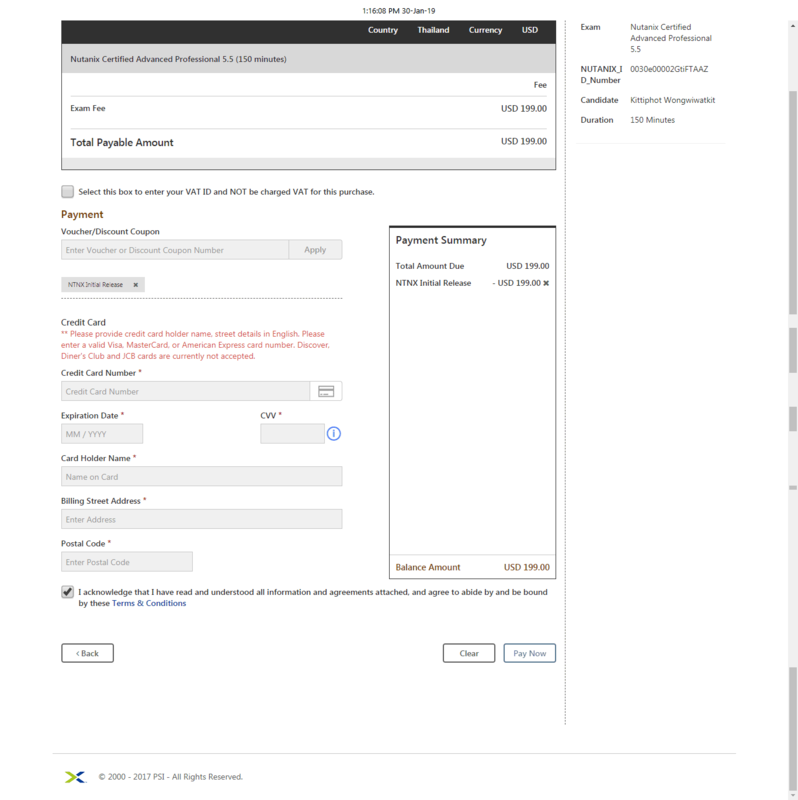 I can't click Pay button to complete register NCAP Exam. I also cannot complete the registration process for NCAP. Here is screenshot of what's happening when I attempt to register! My time for the free exam is running please reply! @Kittiphot - We have emulated your account and it appears to be working fine for us. Please try again. If you still run into problems, please reach out to PSI directly using the support info on their site. Payment processing is not part of the system we manage. @dptaschinski - Your issue was addressed & you should have received an email from our support team this morning.